Divide into two teams of 9. Put six guys on the putside on two ends of one color and the same of the other color on the other two sides. 3 players from each color in the middle. 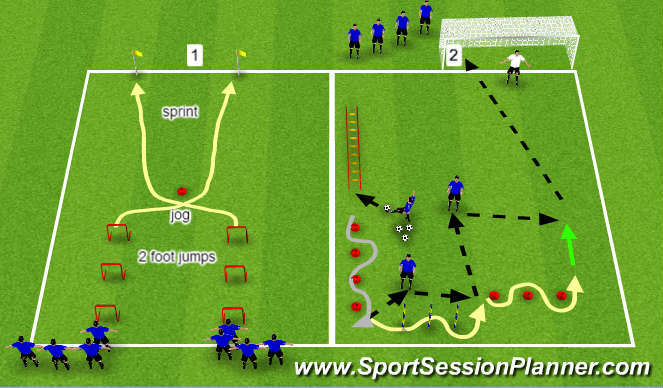 Players in the middle check into player with a ball and recive ball across body and change to other side at another level than you received it. Players go away and check back in again and play again to other side. Stay in for 90 seconds. 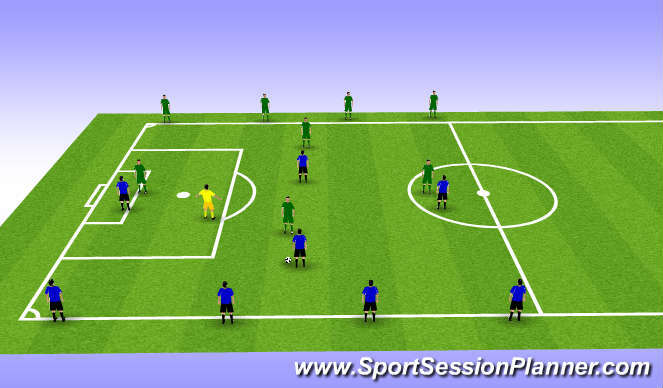 Divide into two teams of 8 plus 1 to 2 neutral players depending on team numbers. Blue going toward 4 red targets and red going towards 4 blue targets. 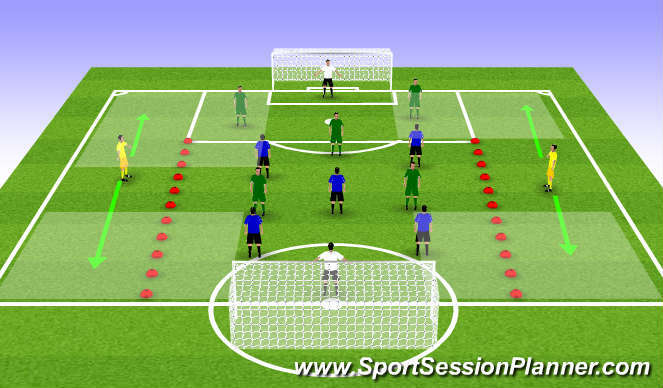 Object is to play into any of the opposite targets by switching the ball side to side creating unbalance in the back line. 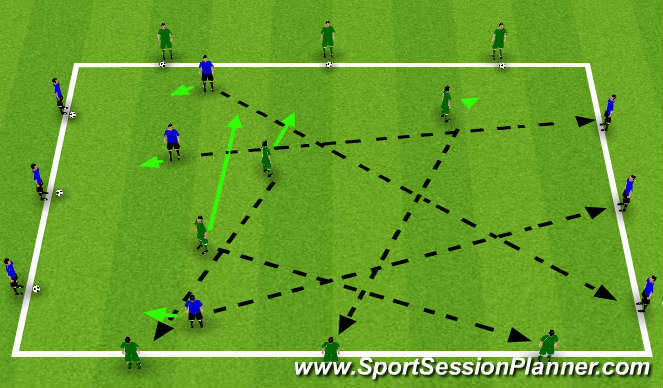 Once played into target, that team switches with team presently on field and attacks right away. Balls must be played wide to neutral players who cross the ball. Regular players not allowed to defend neutrals. Neutrals have 3 touch.